Mint brownies are the best of all brownies if you ask me. 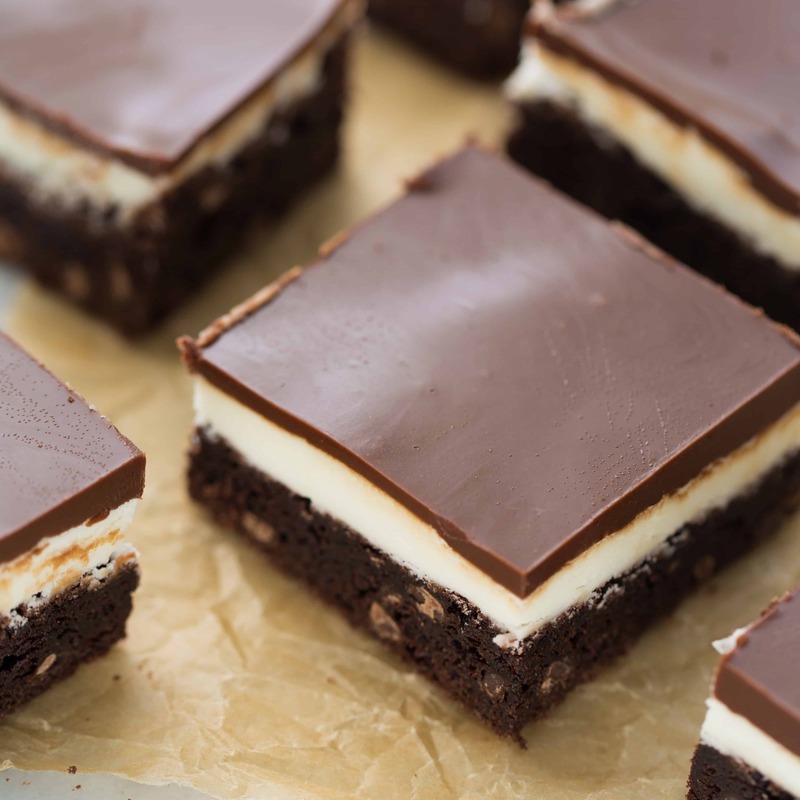 They hold a special place in my heart because the college I went to is known for it’s mint brownies. My best friends and I would meet up for “mint brownie study breaks” which was the perfect excuse to chat and indulge in a delicious treat! These gluten-free mint brownies are double chocolate and sink-your-teeth-in delicious. 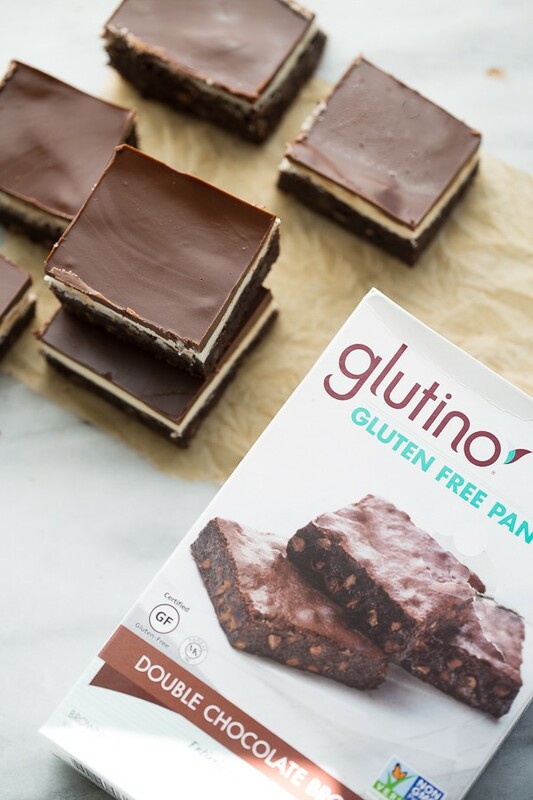 They are also super easy to make thanks to Glutino Brownie Mix! Sometimes something easy to make for dessert is just what you need. The mix already has mini chocolate chips in it which is must for good brownies in my opinion. These brownies have a great chewy texture and hold up perfectly with the layers of mint frosting and chocolate ganache. 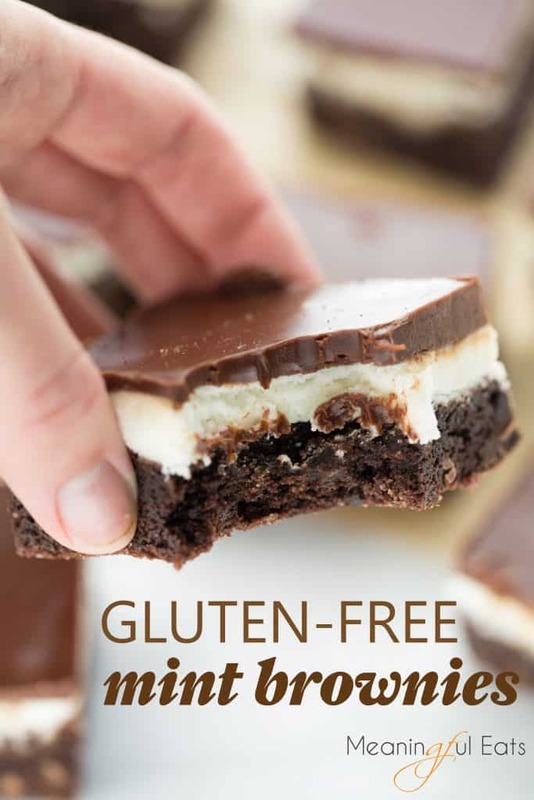 These brownies are perfect for taking to parties or barbeques because nobody will ever guess they are gluten-free! After testing/photographing this recipe I gave away a bunch of the brownies to family and friends so I wouldn’t eat them all myself. Everyone was amazed at how good they are and gave them rave reviews! I’ll definitely be making them again and again. Prepare the brownies according to package instructions. Let cool completely before frosting. 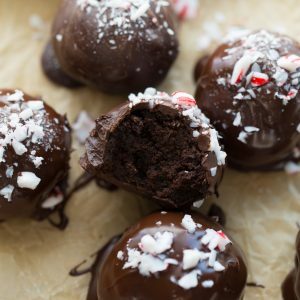 For the mint frosting layer: place the butter, powdered sugar, milk (start with 2 tablespoons and add more if needed), peppermint extract, and food coloring (if using) in a medium bowl. Using an electric mixer, mix until fluffy and totally incorporated, about 2-3 minutes. 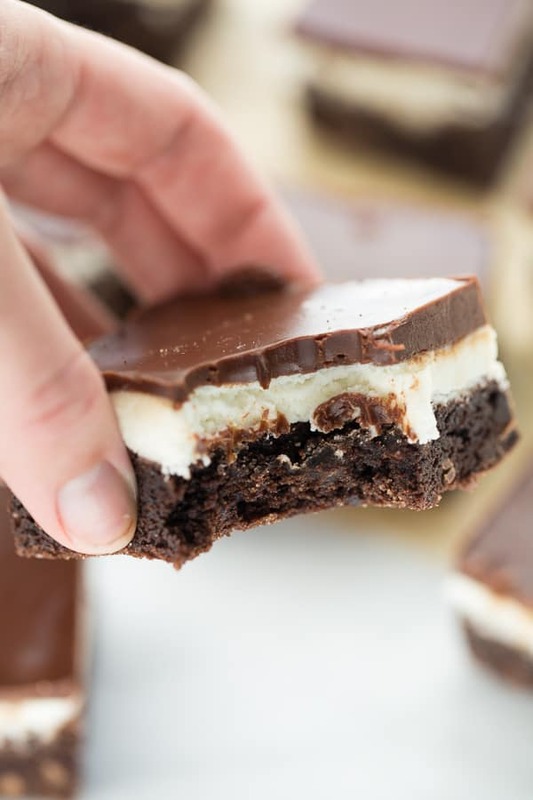 Spread the mint frosting layer evenly over the cooled brownies. Place in the refrigerator for 1-4 hours until set before topping with the chocolate ganache. 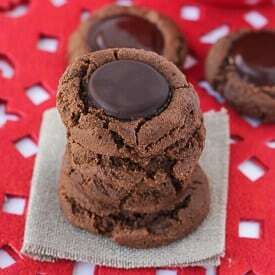 For the chocolate ganache: cut the butter into cubes and place in a bowl with the chocolate chips. Microwave at 50% power for 1 minute, stopping to stir every 15 seconds until totally melted. 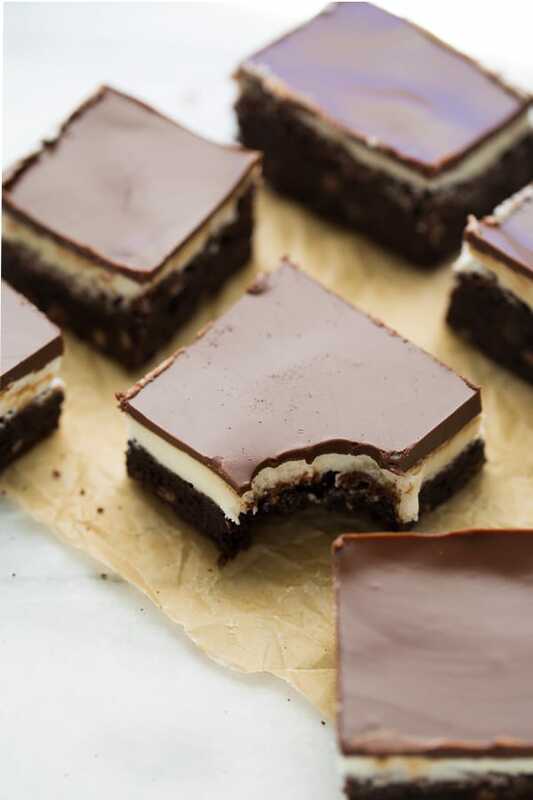 Pour the chocolate ganache over the brownies and spread into an even layer. Refrigerate for at least 1 hour (or up to overnight) to allow the chocolate to set. Cut into squares when chilled and let come to room temperature before serving. Enjoy! MAKE-IT DAIRY-FREE: Use earth balance buttery sticks in place of the butter. Is there anything that can be substituted for almond milk? I cannot tolerate any of the gums: xanthan, guar, carrageenan. Coconut milk will work! Any kind of milk you can tolerate to thin it slightly. 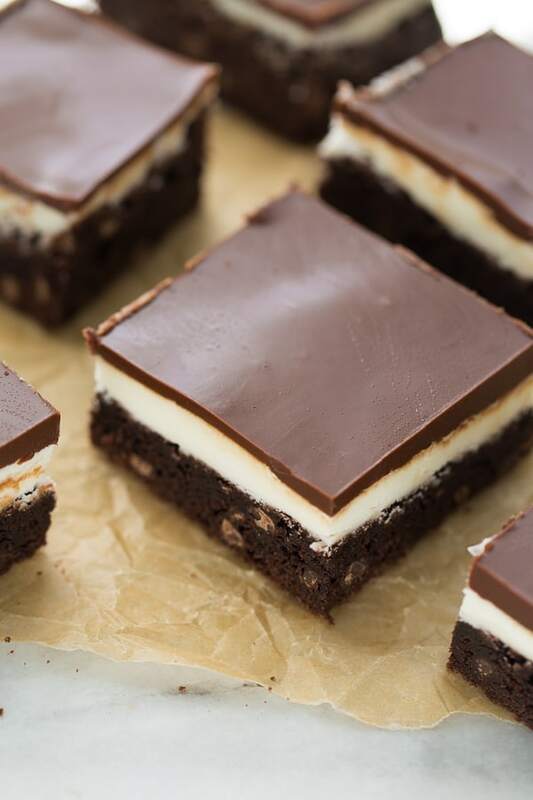 I too love mint brownies! 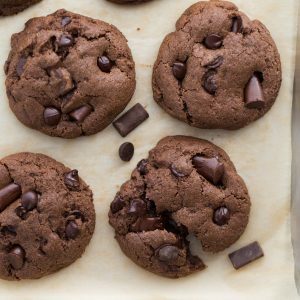 They are like the perfect chocolaty, mint treat. I could make these over and over again as well. Also, love how easy that Glutino mix is, but then we get to take it to the next level wit the mint and chocolate layers.